House prices in the UK have continued to follow the trend of recent months, falling in August by 0.2% overall. This follows a sizable drop in July of 1.1%, which means that the average UK house price now sits at £213,930. 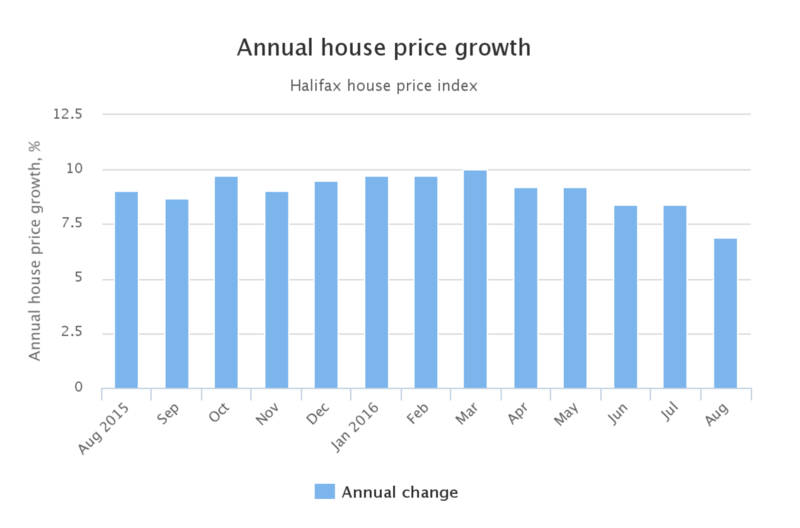 The figures, released by banking giant Halifax, clearly show that activity in the housing market has dropped off since the early months of the year. This news follows a survey by the Royal Institution of Chartered Surveyors (Rics) last month that revealed a record low number of homes listed on the market, and the lowest quarterly growth since December 2014. Confidence in the housing market was widely expected to wane following the Brexit referendum, with many buyers and sellers deterred from entering the market altogether. This, coupled with increasing prices in the early months of 2016, has caused the drop off in sales that we are now seeing. And as both demand and supply for houses drops, so does the average market price. If you’re considering buying a house as the market reaches a ‘low point’ be mindful that, although you may be more likely to find a bargain, your options are bound to be far more limited than at other points in the year. On the other hand, homeowners looking to sell are likely to prefer to wait until the market price picks up before listing their property on the market. Always remember to take seasonality into account. As a rule of thumb, spring is usually the most active month for buyers and sellers in the housing market; whereas summer and winter are comparatively quiet. A downturn during July and August isn’t all that surprising during the ‘holiday’ months, and we’d expect the appetite for buying homes to pick up for a month or two as we enter autumn. The revived demand in September and October tends to be caused by buyers who are in a rush to move into a new home prior to the festive season. However, there tends to be very little activity between October and January. Despite the current downturn, housing experts say that confidence in the housing market will gradually return following the initial post-Brexit shock. Some also maintain that a long term increase in prices is on the horizon – a 3.3% increase over the next five years according to Rics.